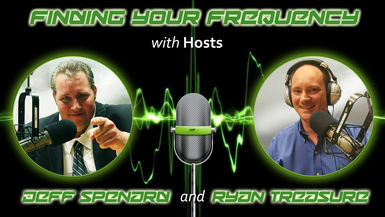 Join Jeff and Ryan on this weeks Finding Your Frequency with guests Leonard Kim and John Duffy. Inc. Magazine named Leonard Kim a top Digital | Youth Marketer. Red Letter Resumes named Leonard a top personal branding expert. Leonard is managing partner of InfluenceTree. At InfluenceTree, Leonard and his team teach you how to build your personal brand, get into publications and grow your social media following. Or if you don’t have the time, they do it all for you. Leonard’s content has been read well over 10 million times and he has amassed north of 500,000 social media followers. John Duffy is a Film Producer, Director, Professor and Motivational Speaker who shares a powerful message of overcoming all odds to succeed in life. He has produced over 25 feature films He is presently working on producing a feature film based on the incredible true story of a Houston Boxer who took Iraq to the Olympics in 2004 entitled “They Call Me Termite:.